I’m in love with all things apple right now, so when LorAnn Oils asked if I was interested in trying out some of their specialty flavors, I was all for it! I got to try out their Green Apple and Butter Rum super strength flavors as well as their new Cinnamon Spice Bakery Emulsion. 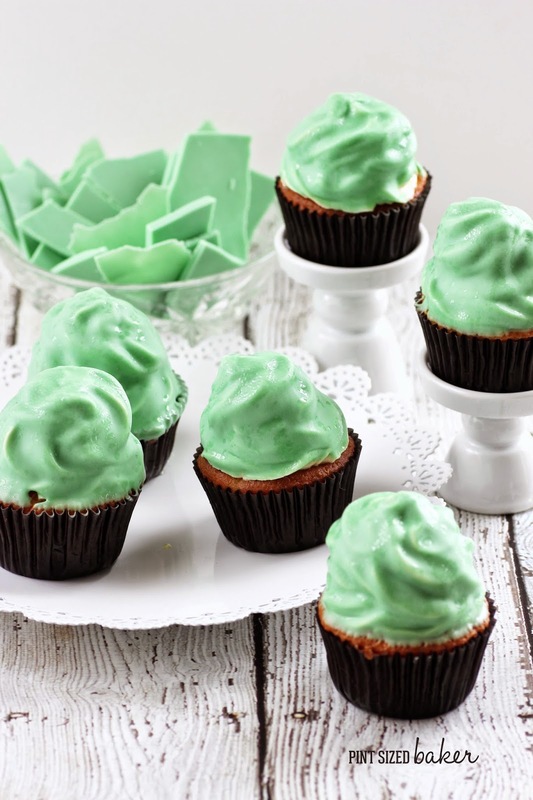 I thought that the combo of green apple and cinnamon spice was just perfect in these Green Apple High Hat Cupcakes! 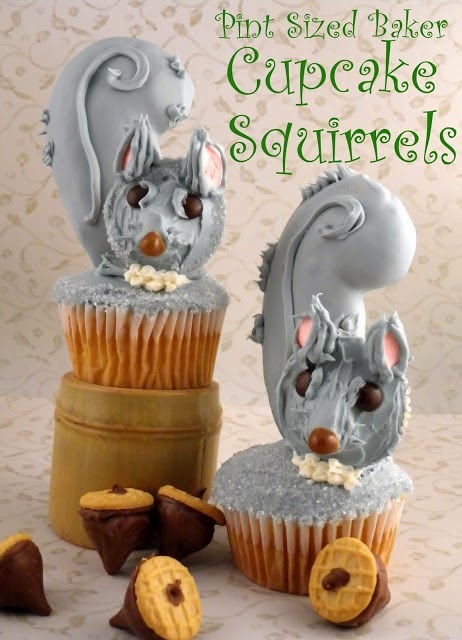 First off, don’t be scared – I totally used a box mix. However, you’d never know from the extra flavor that I added! And I chopped up some green apple and added it to the cupcake mix. Once the cupcakes were baked, it was time to pile them high with lots of frosting! The trick to high hat cupcakes is having thick frosting and then freezing them before dipping them. 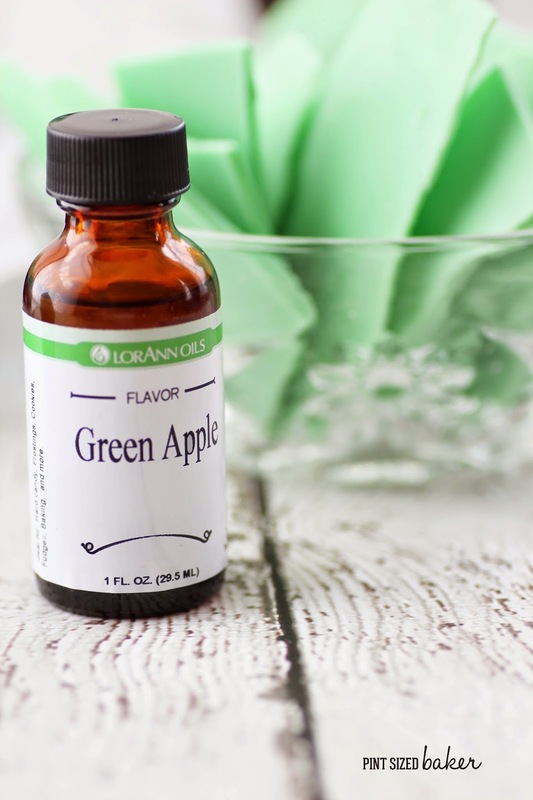 I used candy melts that I colored with green food coloring oil (don’t use water based colors) and added just two drops of the super strength apple flavor. That name doesn’t lie! Go easy with it. It’s SUPER flavorful! 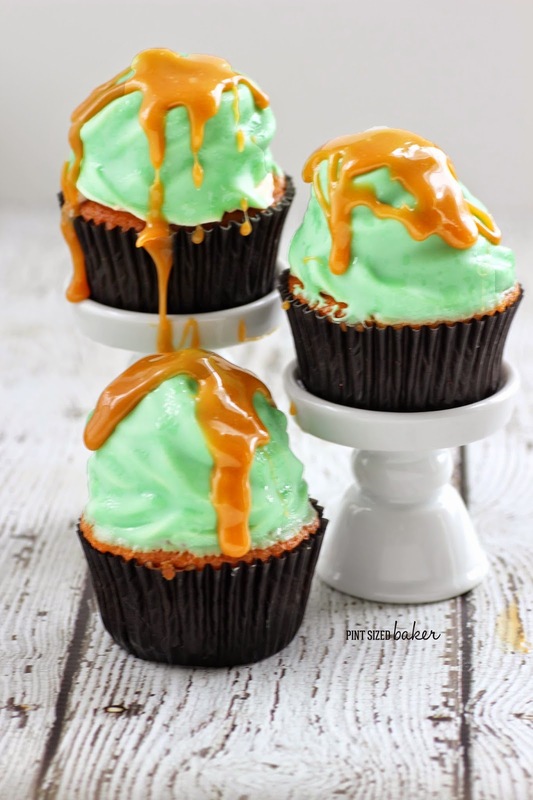 Once the shells were hard, it was time to drizzle on some caramel and hand them out to my party guests!These were quite a bit easier on the teeth and so delicious to eat! 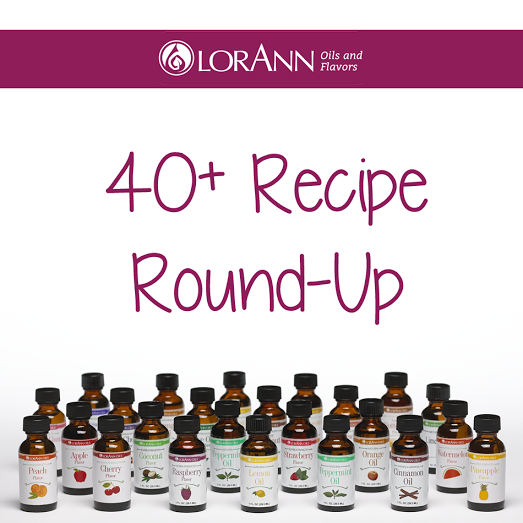 Please check out all the other Bloggers from #OBC14 to see what they have made using LorAnn products. With the leftover Green Apple Candy, make some bark or some lollipops. Simply place parchment paper on a cookie sheet and spread it out. Refrigerate for 10 minutes then break apart. If you’re making lollipops, follow THESE INSTRUCTIONS. Prepare the cake mix as instructed adding in the chopped apples and LorAnn Cinnamon Spice Emulsion. Bake and cool as directed. Place the frosting into a mixer and gradually add in the powdered sugar. It will get very thick. You want the frosting to hold a fork upright in the frosting. 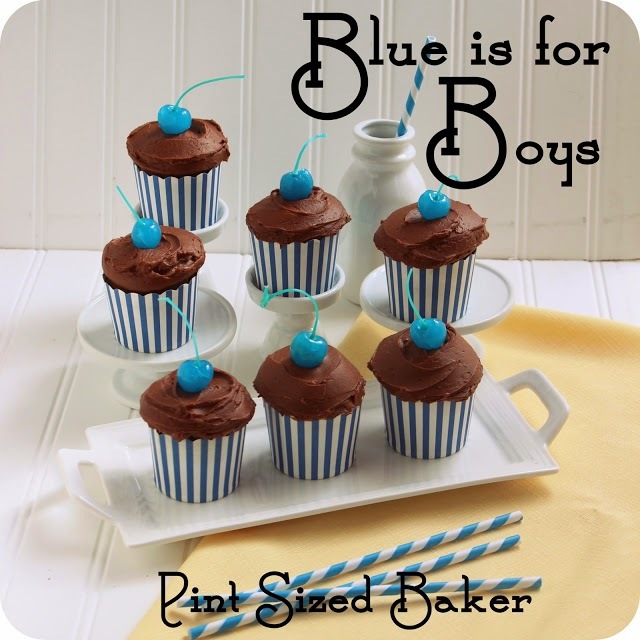 Pipe a large amount of frosting on to the cupcakes and then place in the freezer for at least an hour. I left mine in overnight. Melt the candy melts of CandyQuik according to the instructions. I like to place my melts into a tall coffee mug and heat in the microwave at 70% power for 1 minute. Do NOT over heat the melts. They will burn. It can take several minutes for the candy to melt, do not rush it. The mug should never be hot in your hands, just warm. If the candy is melted, but seems thick and doesn’t drizzle off the spoon, add some coconut oil or shortening to thin it out. Start with a teaspoon, but don’t add much more than a tablespoon. Very carefully add in the Apple Super Flavor and stir to combine. Remember, you can always add more, but you can’t take it out. 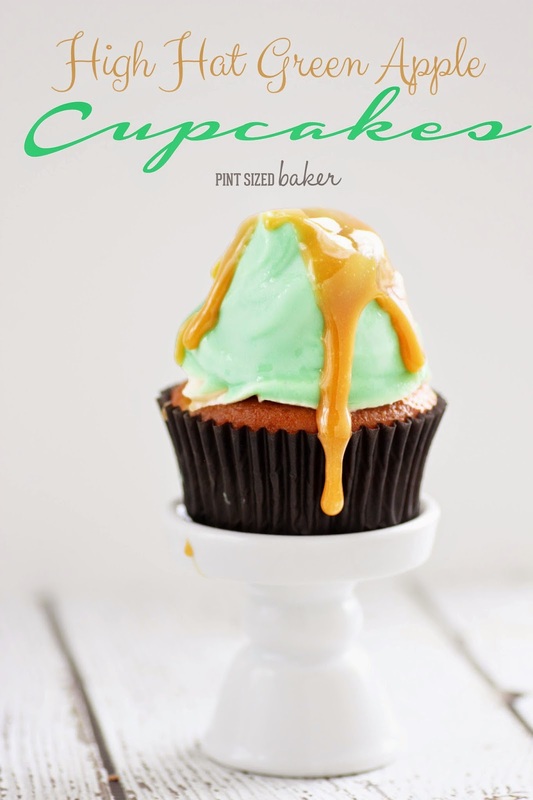 Remove the cupcakes from the freezer and dip them straight down into the mug being careful to just cover the frosting. Shake off the excess and place on a tray. Once all of the cupcakes are done, leave them at room temperature until ready to serve. Top with Caramel Sauce just before serving! 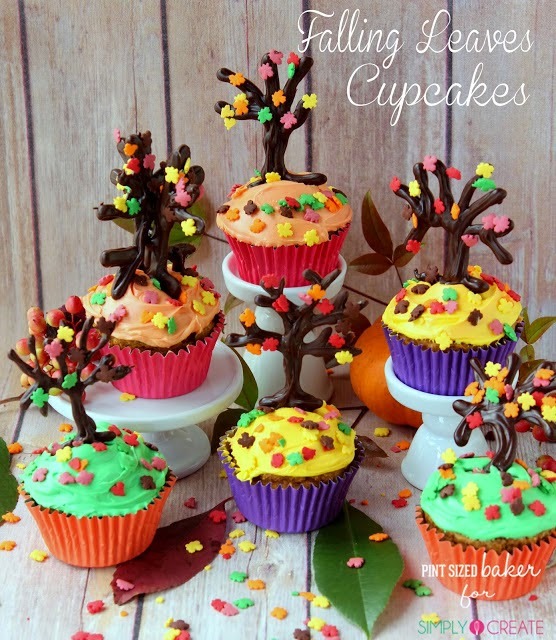 For more Awesome Cupcake Recipes, check these out!